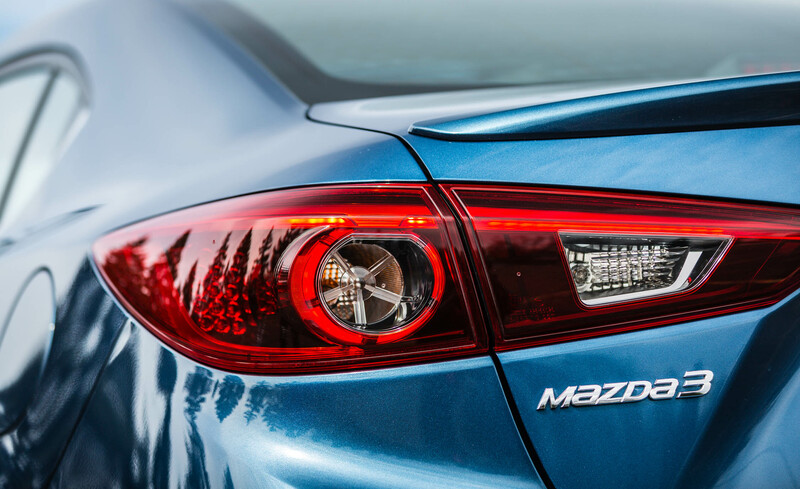 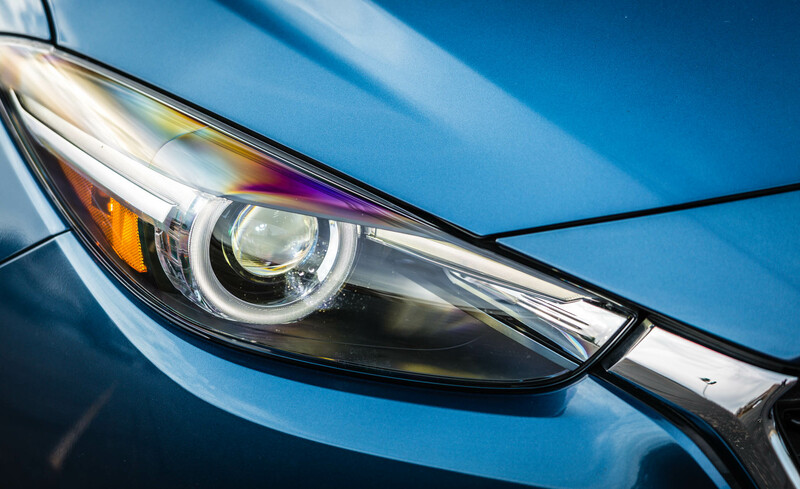 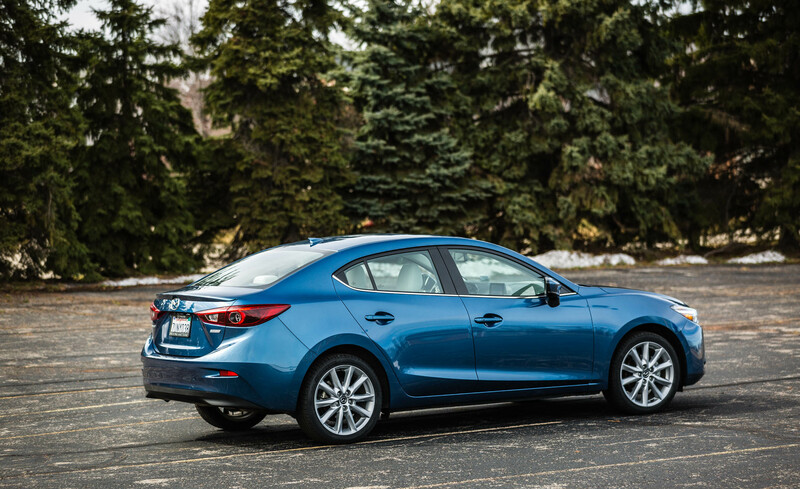 The 2017 Mazda 3 gets a variety of updates this year. 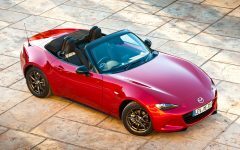 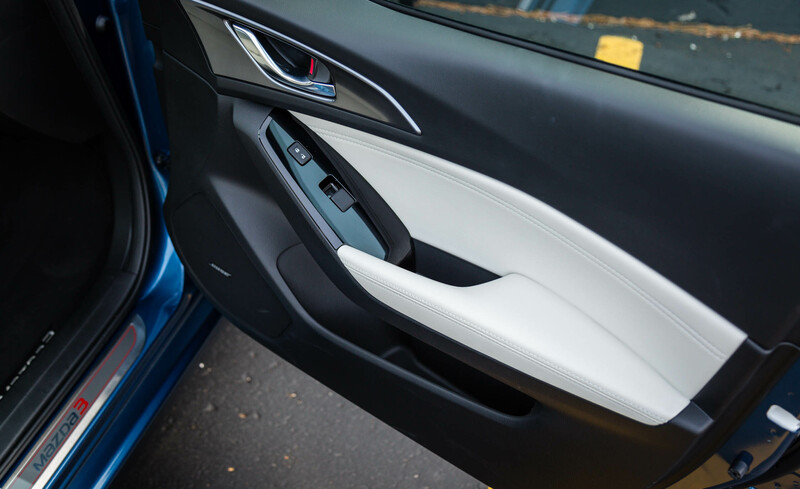 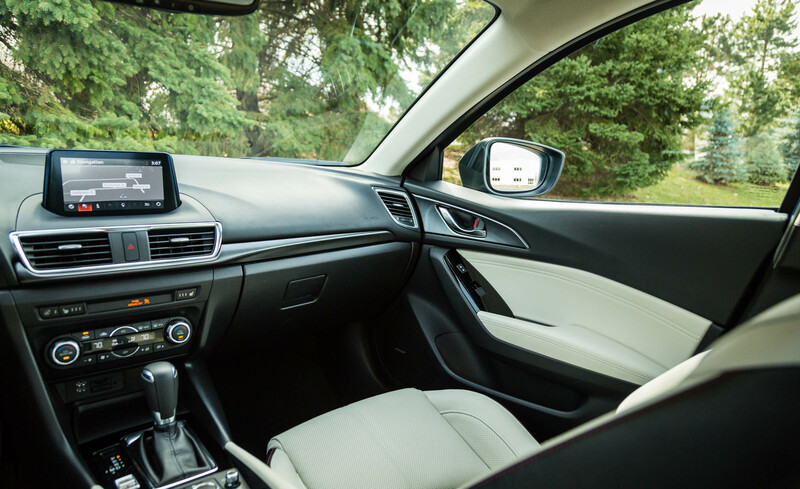 Both the front and rear fascias are subtly restyled, while the interior has a new steering wheel, an updated dashboard design, added standard equipment, bigger door storage pockets and a new electronic parking brake (which frees up more center console space for storage). 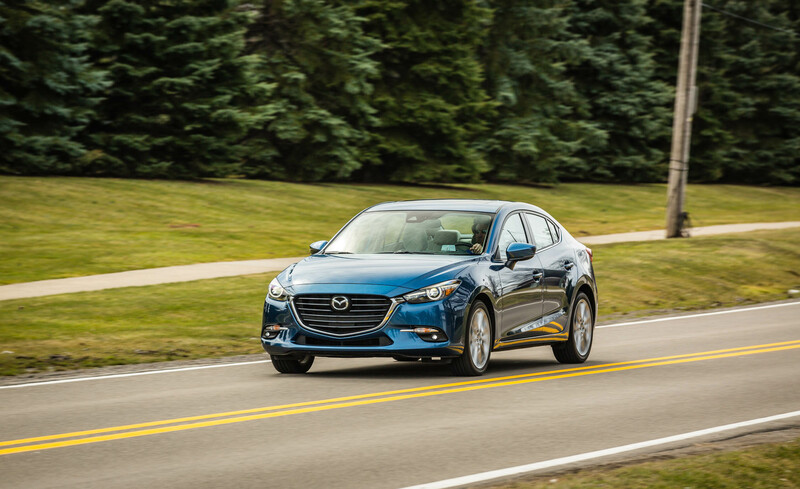 Mazda has also added G-Vectoring Control to the 3, which Mazda says can improve handling. 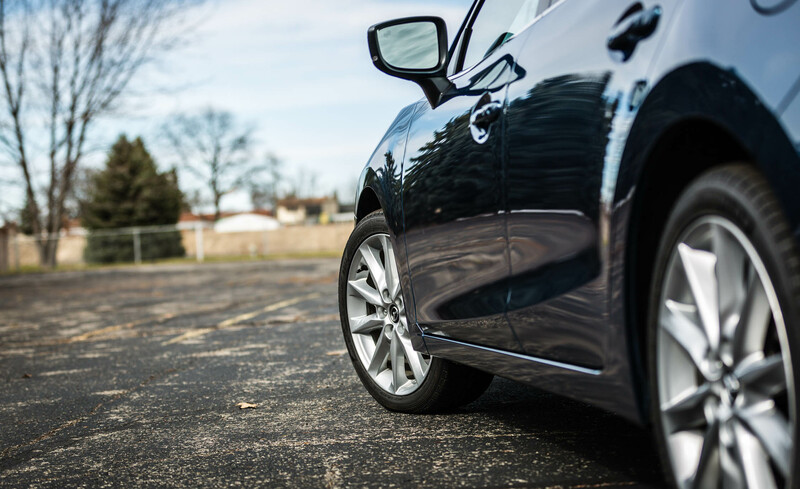 A retuned suspension provides a smoother ride. 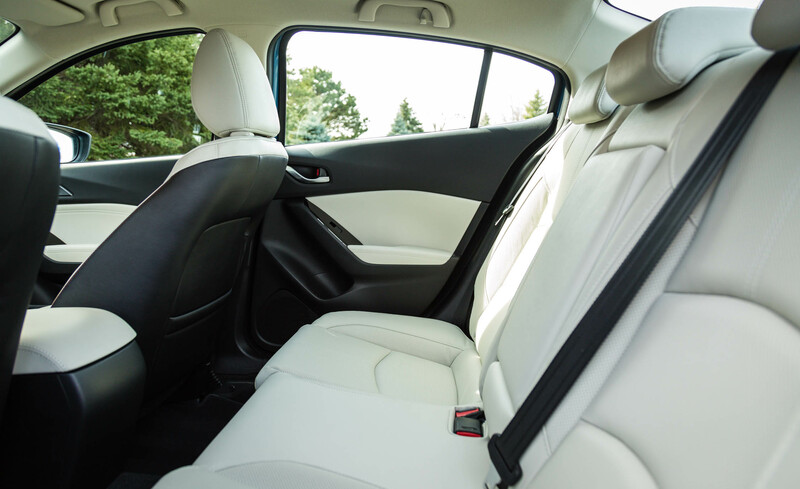 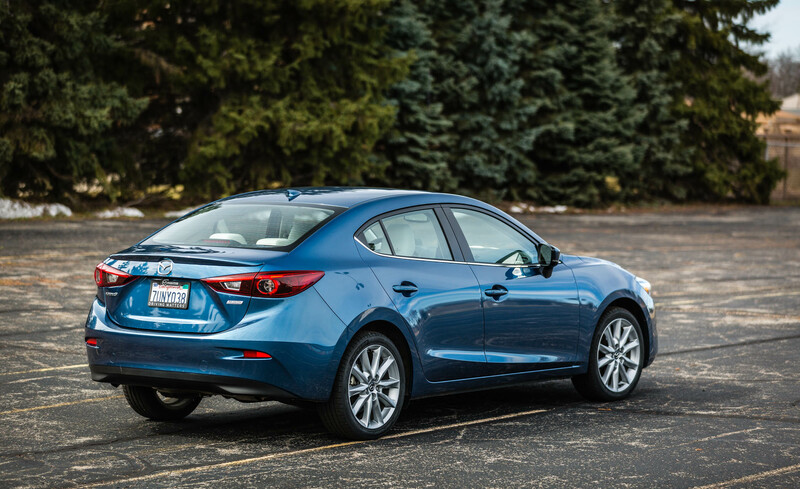 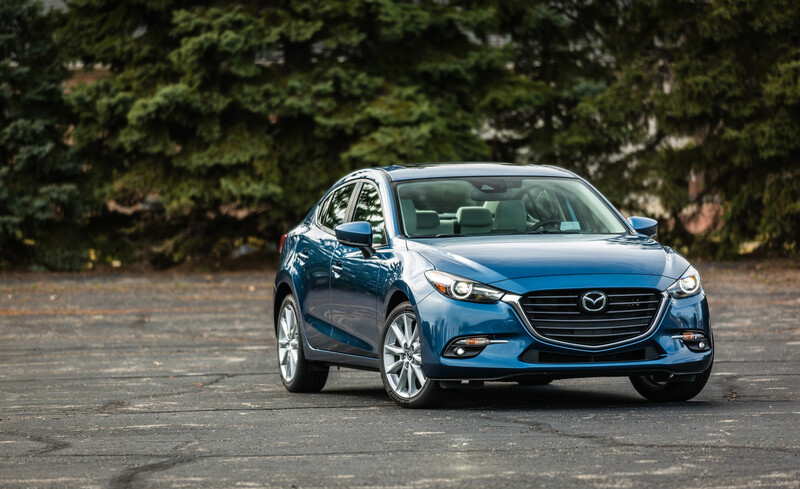 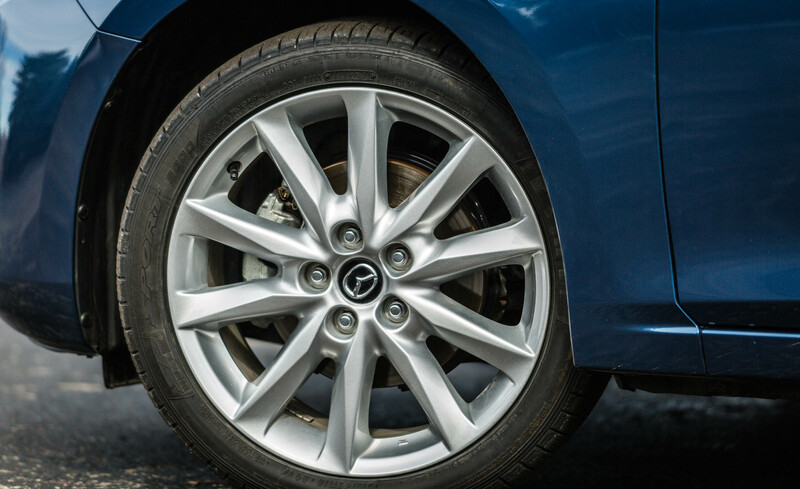 The 2017 Mazda 3 is a compact car available as a four-door sedan or a five-door hatchback. 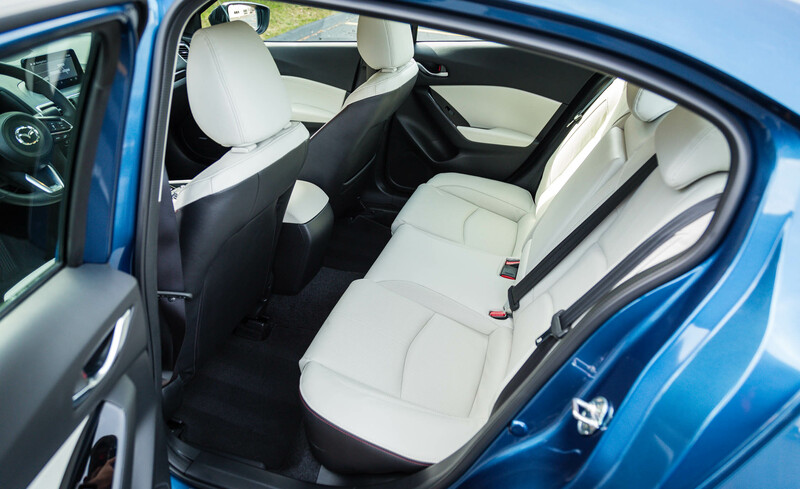 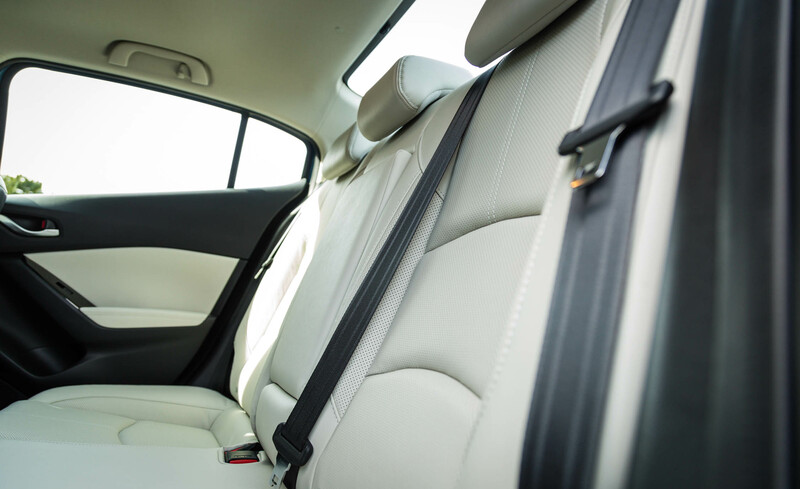 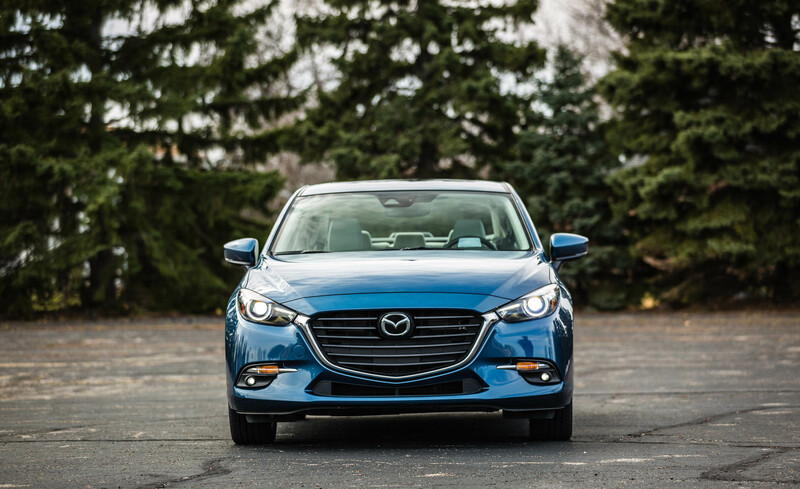 Both are available in four different trim levels: Sport, Touring, Touring 2.5 and Grand Touring. 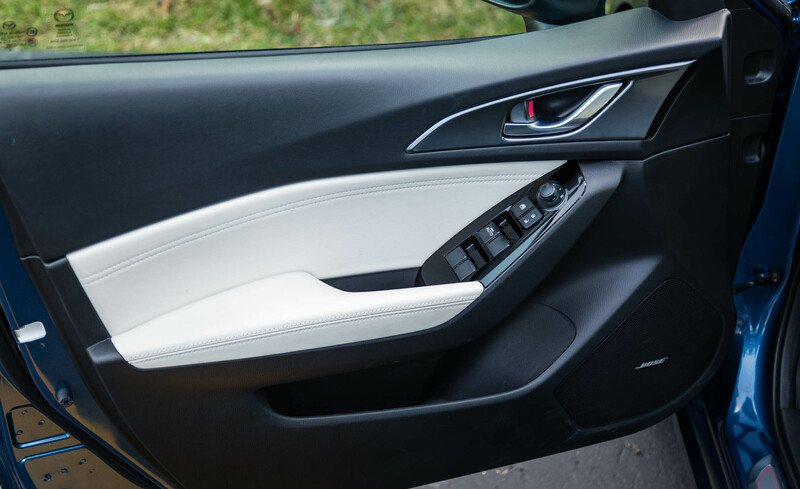 The base Sport comes with 16-inch steel wheels, a 60/40-split folding rear seat, a height-adjustable driver seat, a tilt-and-telescoping steering wheel, cruise control, remote locking and unlocking, keyless ignition, a 7-inch touchscreen display with knob-based controller, Bluetooth connectivity, voice controls and a six-speaker audio system with two USB ports, an auxiliary input, HD radio and smartphone-enabled internet radio. 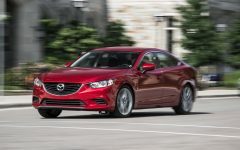 Options for the Sport are packaged together in the Preferred Equipment package that adds 16-inch alloy wheels, heated side mirrors, premium cloth upholstery, a rear-seat armrest, automatic headlights, automatic windshield wipers and blind-spot monitoring with rear cross-traffic alert. 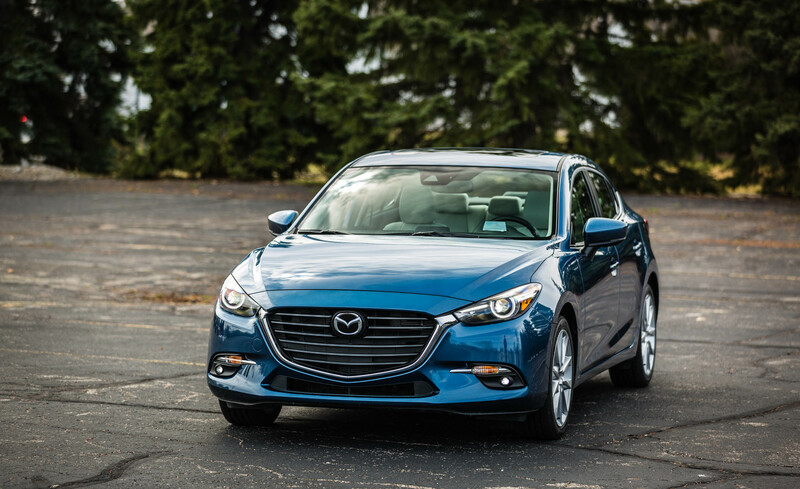 The Touring includes all features from the Preferred Equipment package plus 18-inch alloy wheels, keyless ignition and entry, low-speed forward collision warning and mitigation, dual-zone automatic climate control, imitation-leather (premium vinyl) upholstery, a six-way power driver seat, heated front seats, and a leather-wrapped steering wheel and shift knob. 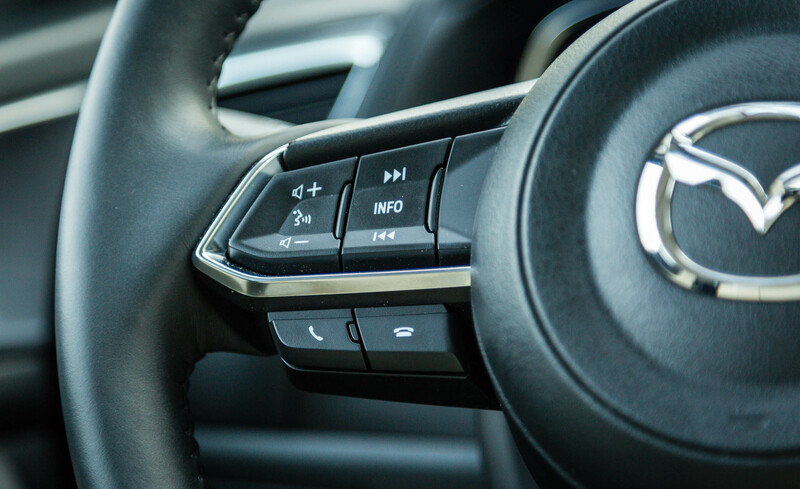 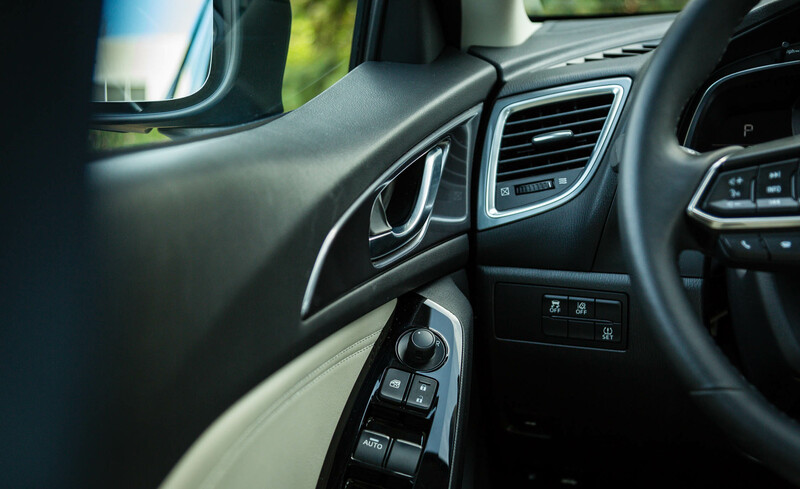 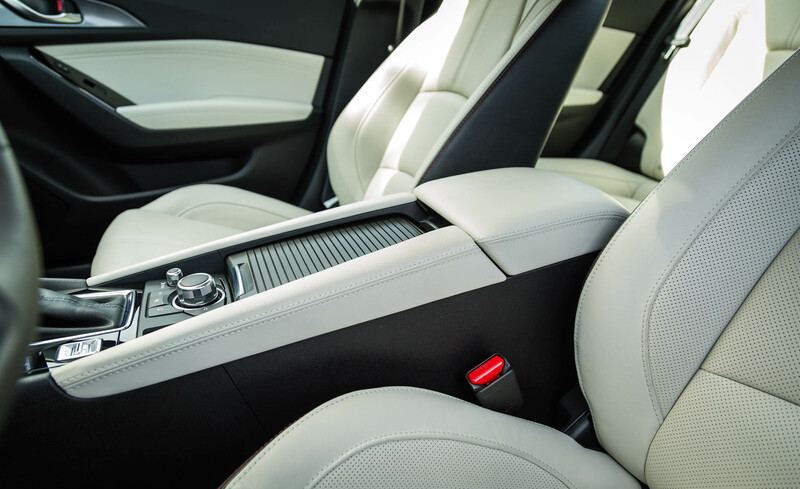 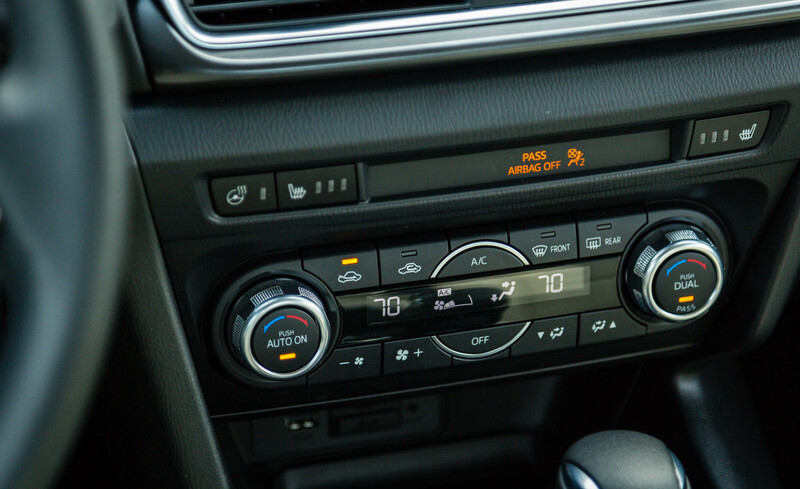 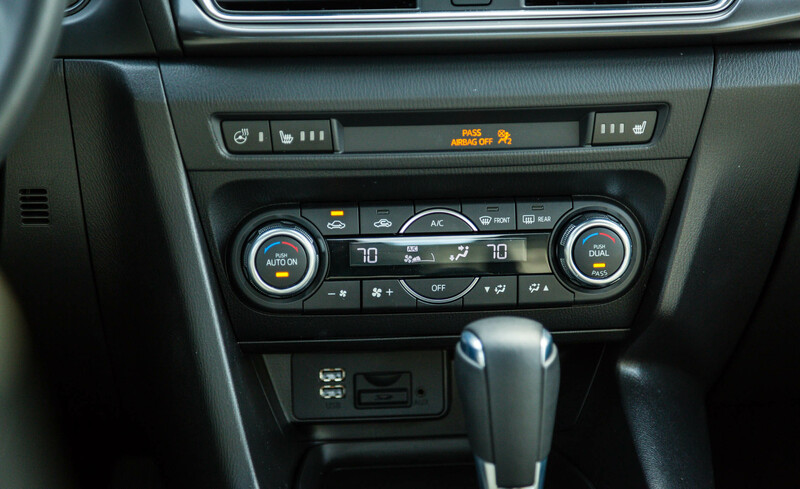 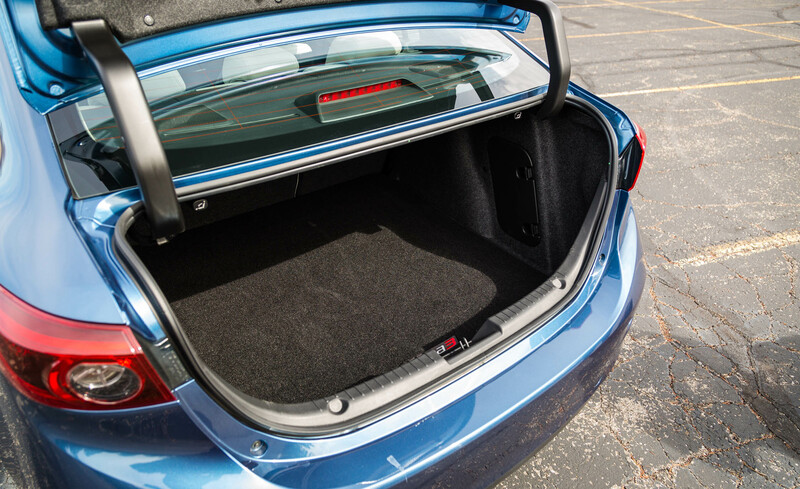 The optional Popular Equipment package (sedan only) adds a rear lip spoiler, a sunroof, an auto-dimming rearview mirror, a CD player, satellite radio and a premium nine-speaker Bose surround-sound audio system. 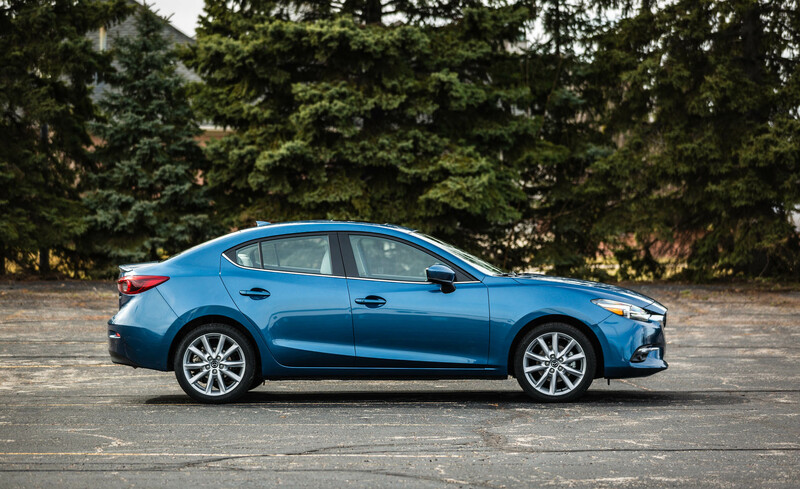 Also available is the Touring 2.5 (hatchback only), which is essentially the same equipment as the standard Touring, but with a more powerful engine and a sunroof. 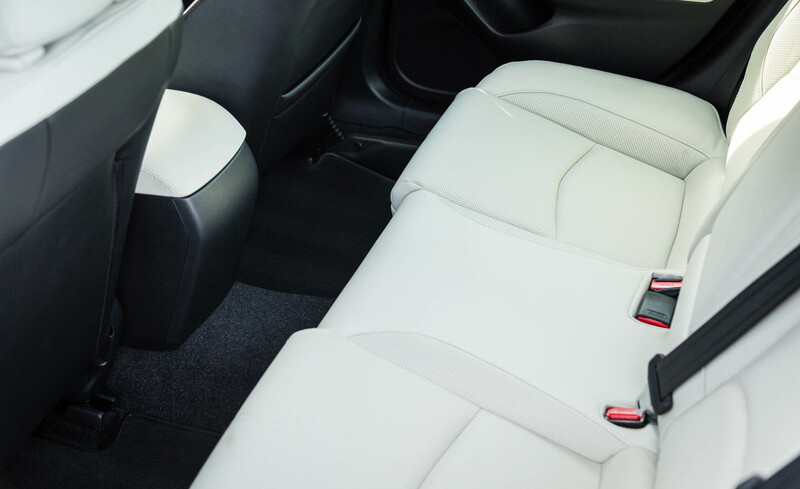 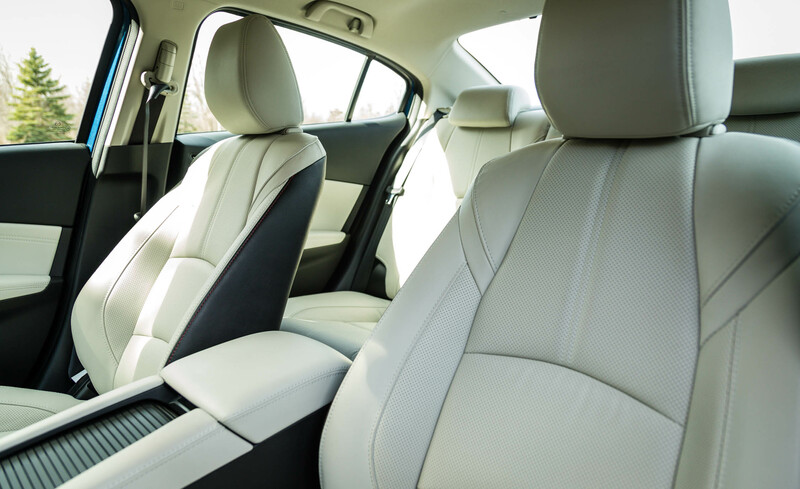 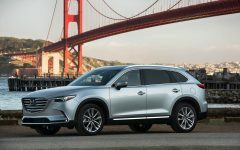 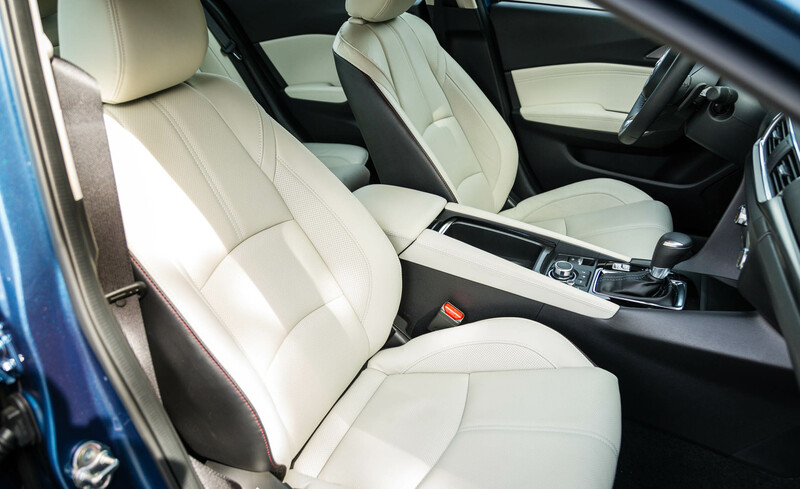 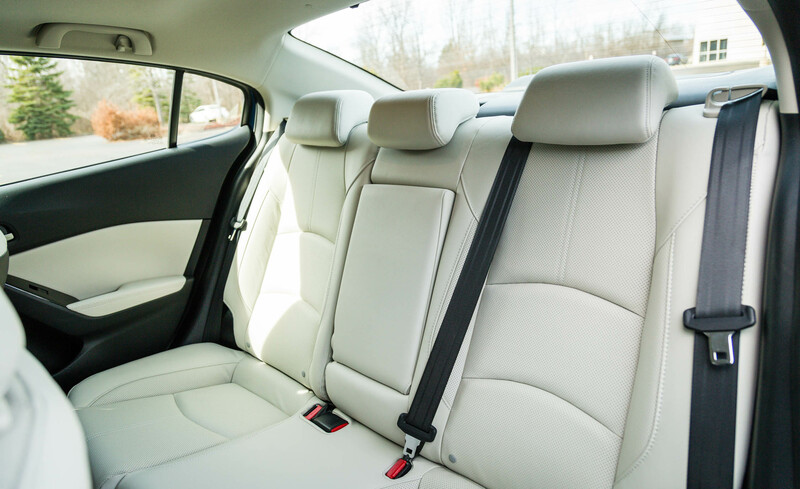 The Grand Touring gets the Popular Equipment package equipment plus the aforementioned more powerful engine, LED foglights, a gloss-black grille insert, a digital speedometer, a head-up display and full leather upholstery. 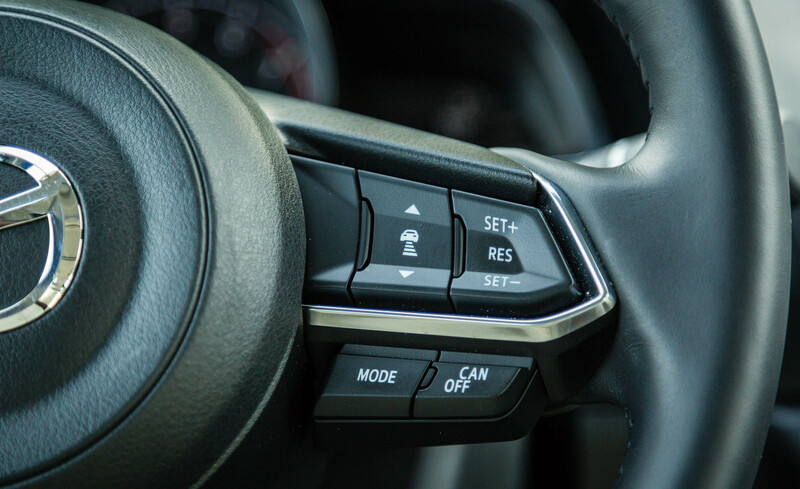 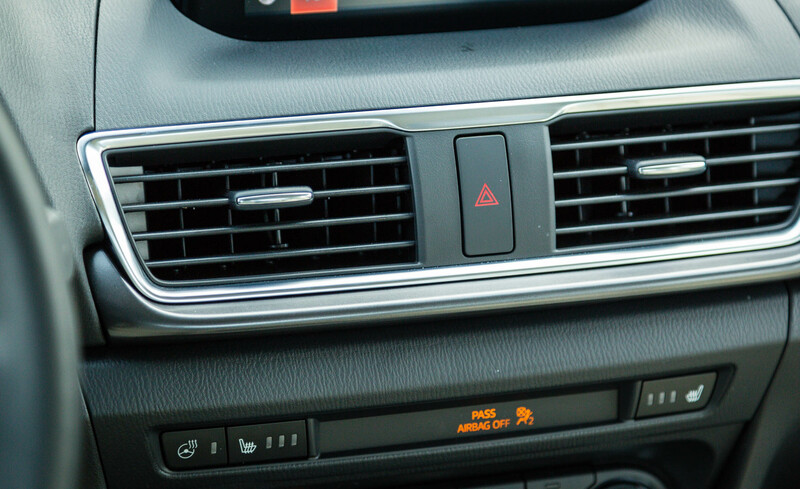 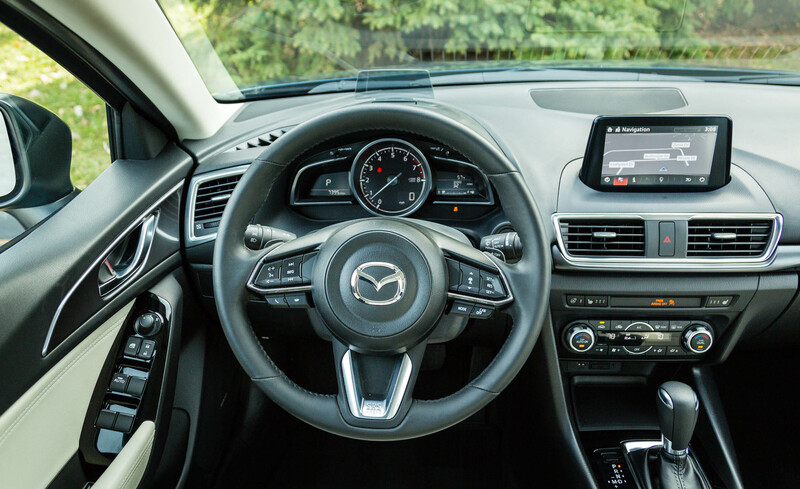 The Premium Equipment package adds adaptive LED headlights and daytime running lights, LED taillights, a heated steering wheel, steering-wheel-mounted paddle shifters, an auto-dimming rearview mirror and a navigation system. 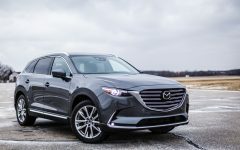 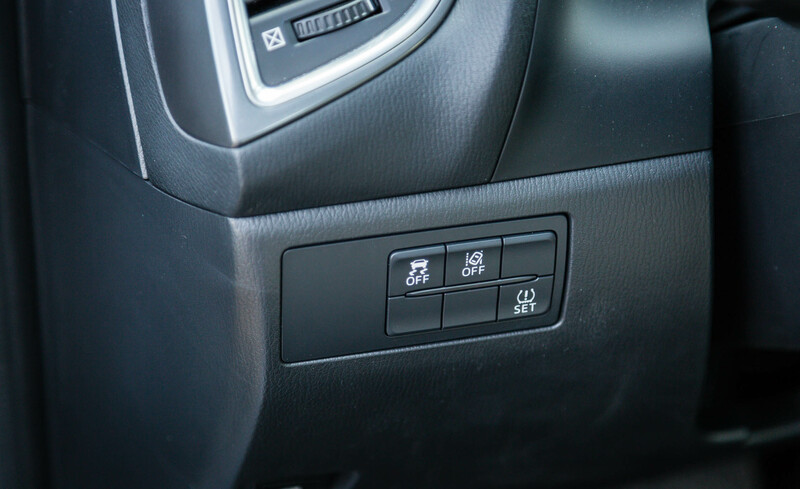 Also optional for the Grand Touring is the i-Activsense Safety Package, which adds a more capable forward collision warning and mitigation system, a lane departure warning and intervention system, automatic high-beam headlight control and adaptive cruise control. 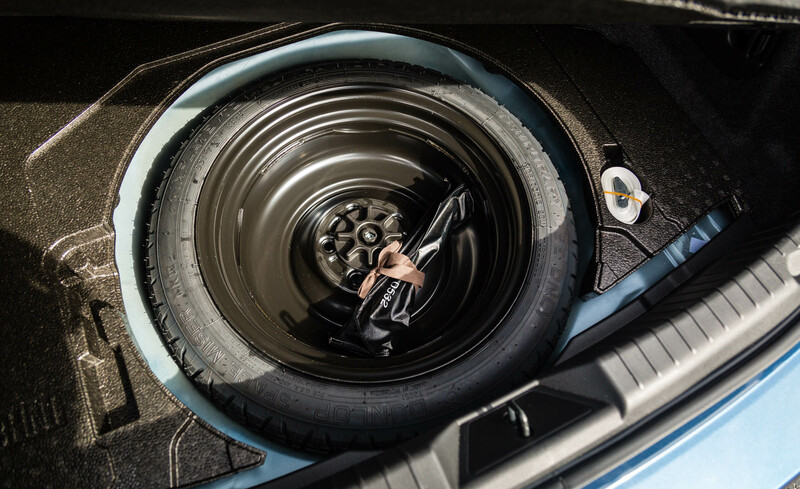 Separately, the i-Eloop package adds the i-Eloop energy recovery system and active grille shutters. 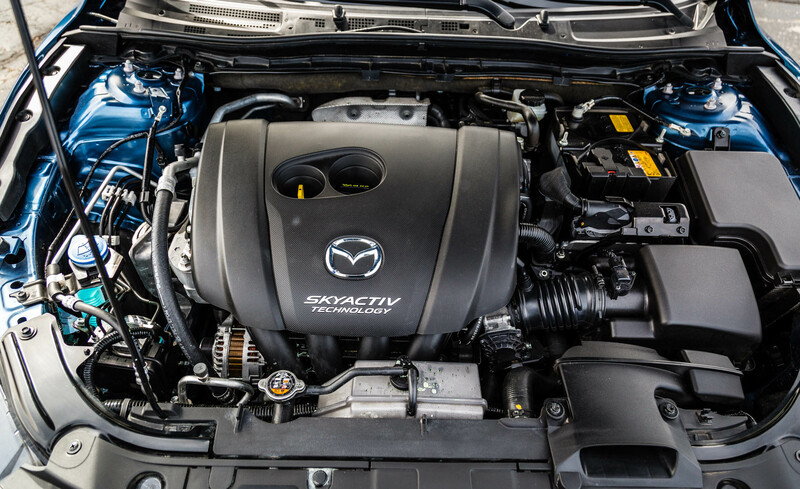 The 2017 Mazda 3 is powered by one of two different engines. 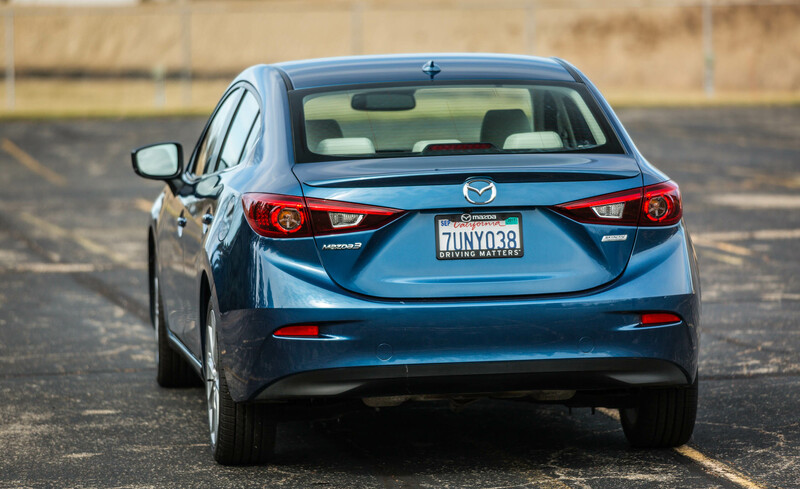 The first is a 2.0-liter four-cylinder that produces 155 horsepower and 150 pound-feet of torque. 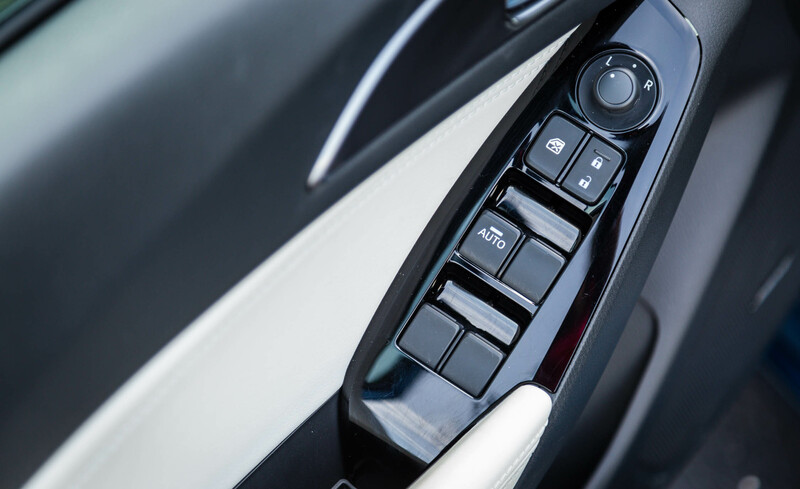 It drives the front wheels through a six-speed manual transmission or an optional six-speed automatic. 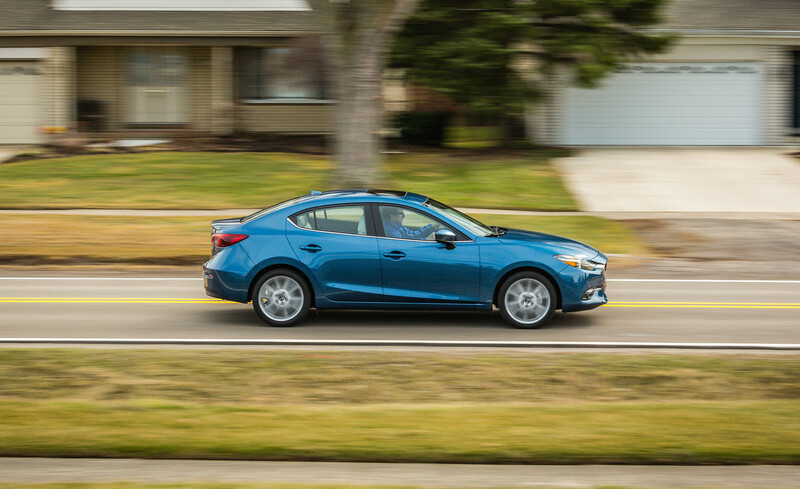 Standard on the Touring 2.5 and Grand Touring is a 2.5-liter four-cylinder engine generating 184 hp and 185 lb-ft of torque. 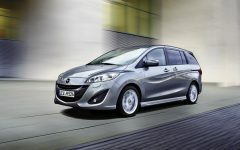 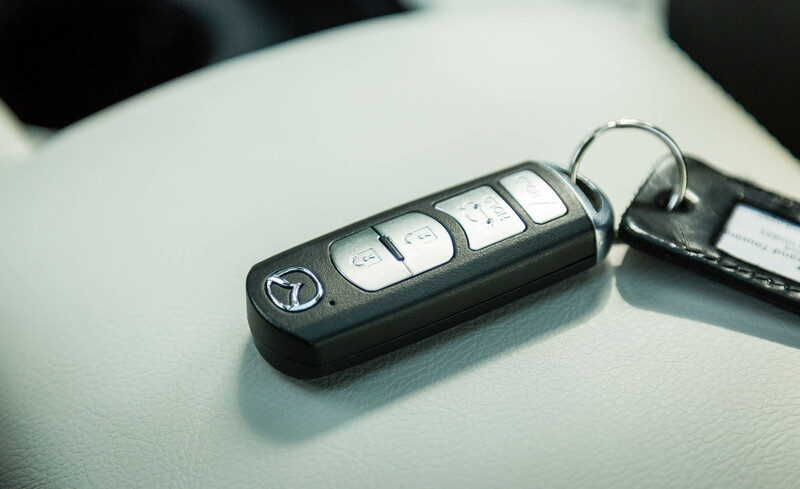 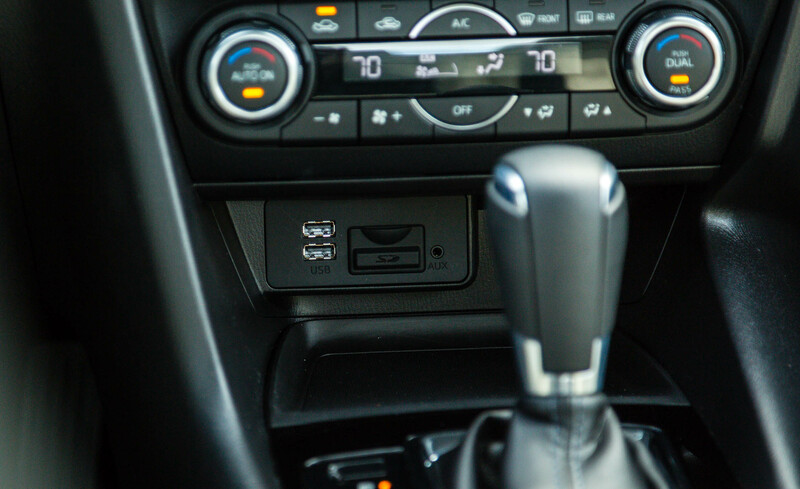 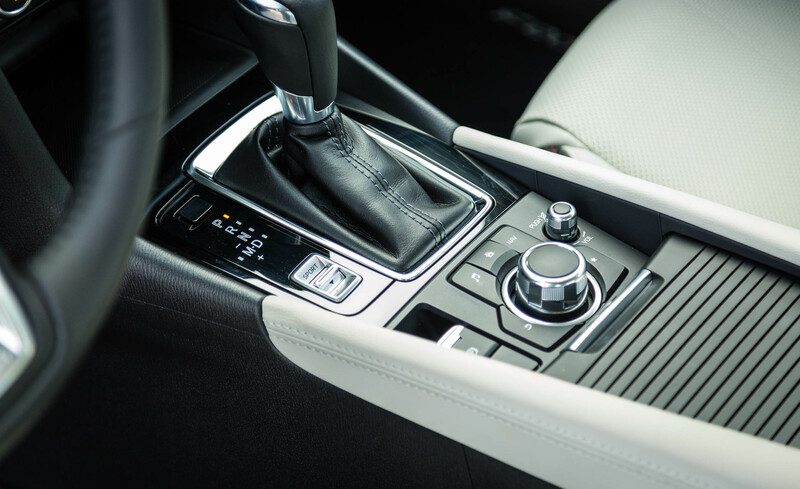 It is also available with either a six-speed manual or a six-speed automatic transmission. 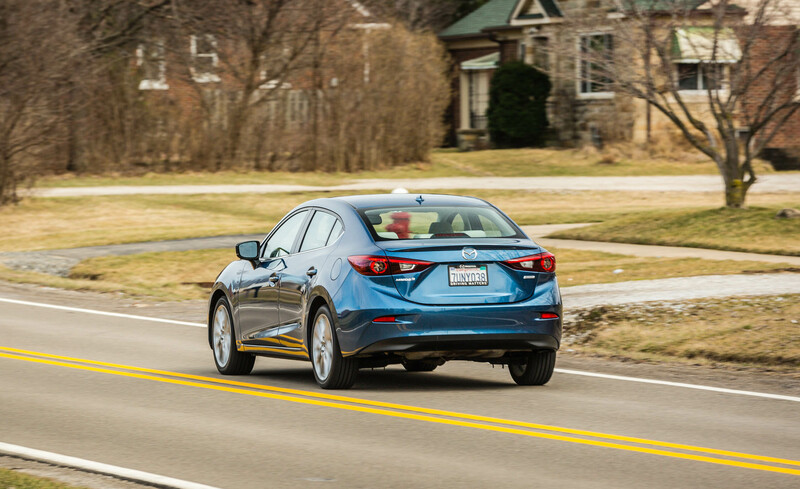 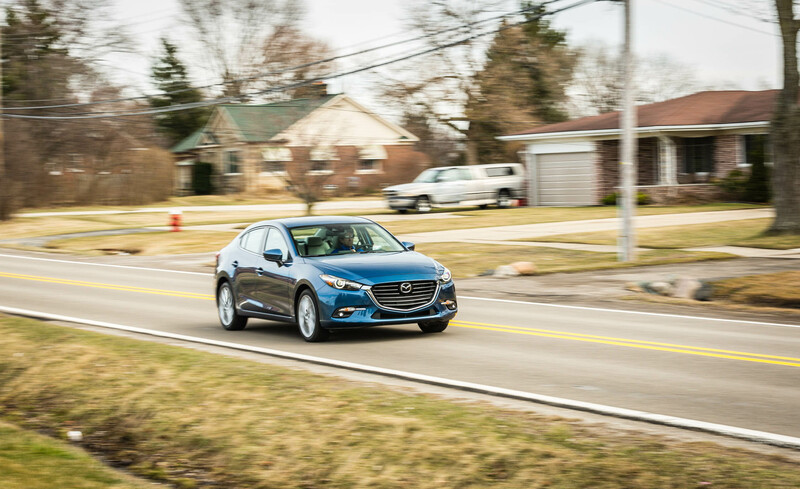 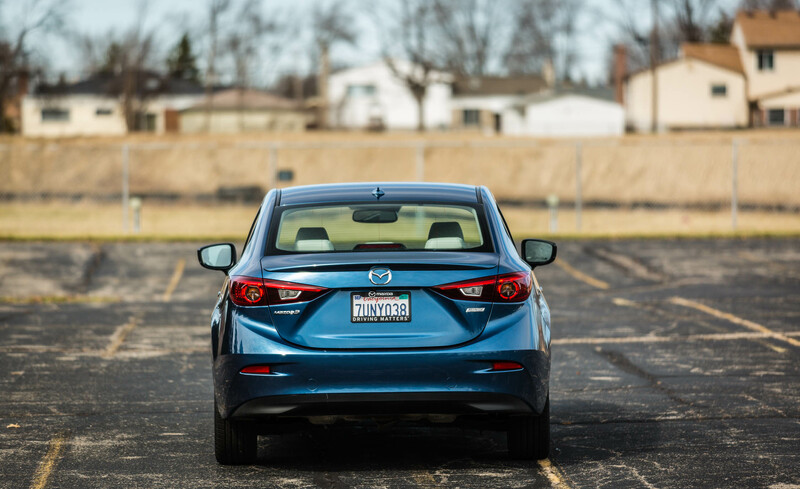 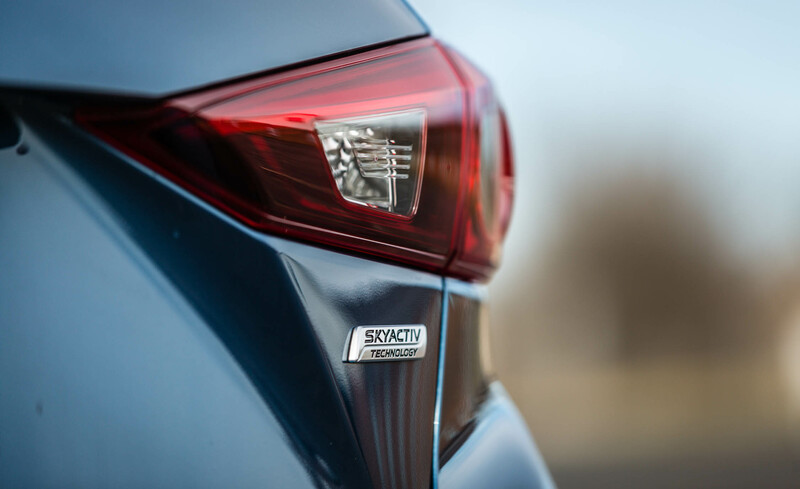 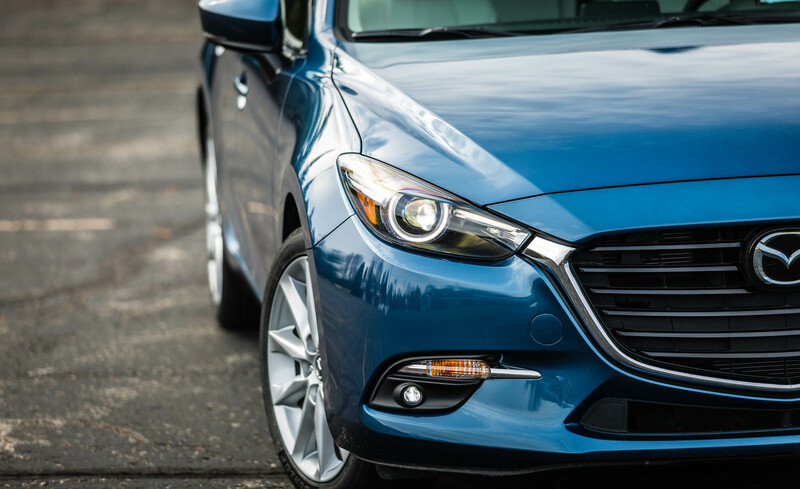 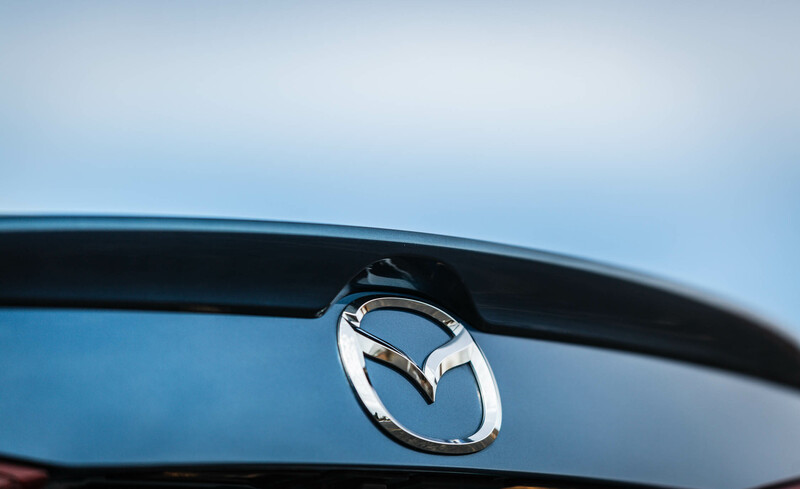 In testing of a Mazda 3 sedan with 2.0-liter engine and the automatic transmission, we recorded a zero-to-60-mph time of 8.3 seconds, which is quicker than average for a compact car with a base engine. 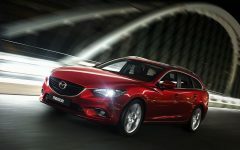 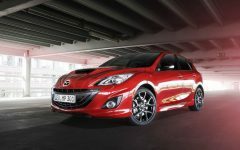 A Mazda 3 hatchback with the optional 2.5-liter engine achieved a 0-to-60 time of 7.5 seconds, which puts it near the top of its class. 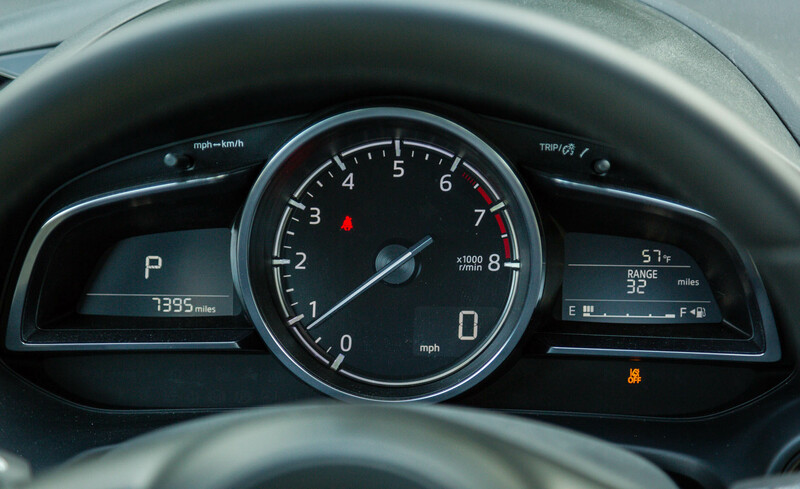 The Honda Civic with its optional turbo engine upgrade, for comparison, did the same sprint in 6.9 seconds. 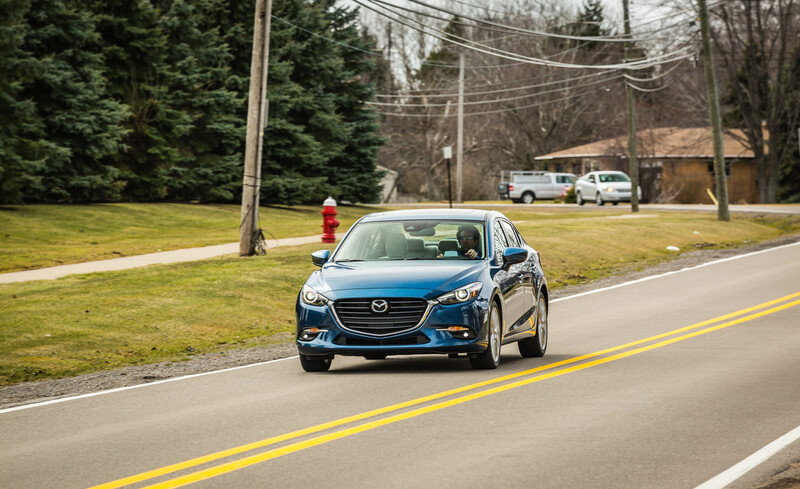 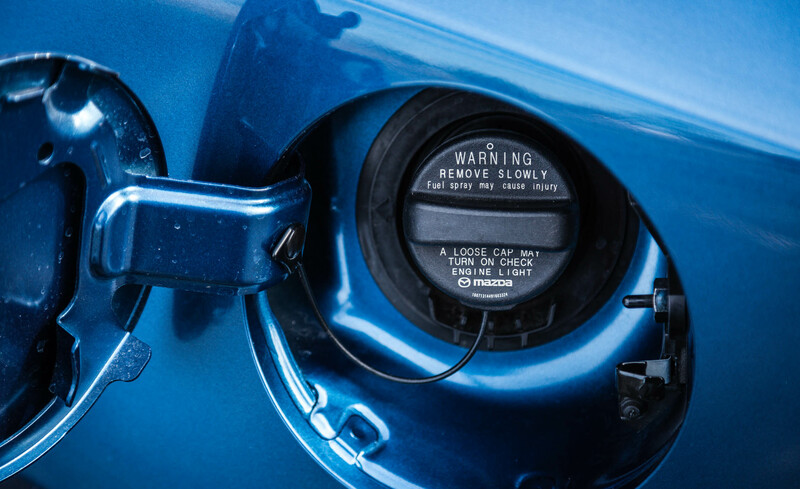 Regardless of engine, transmission and body style, EPA fuel economy estimates are impressive for the Mazda 3. 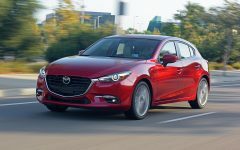 Numbers range from 28 mpg combined (25 city/33 highway) with the 2.5-liter engine and the six-speed manual up to 32 mpg combined (28 city/37 highway) with the 2.0-liter engine and the automatic transmission. 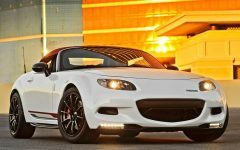 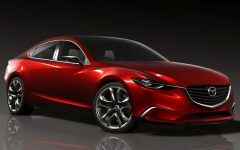 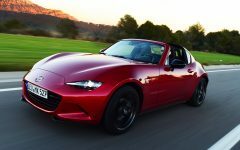 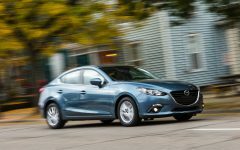 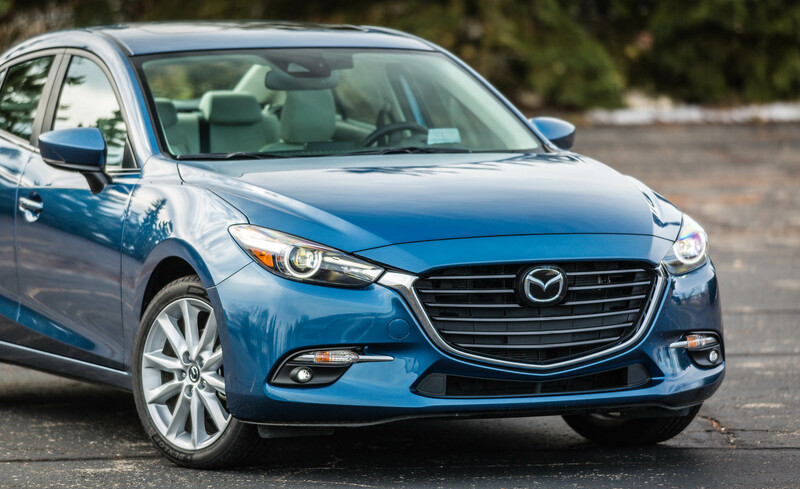 Related Post "2017 Mazda 3 Sedan"